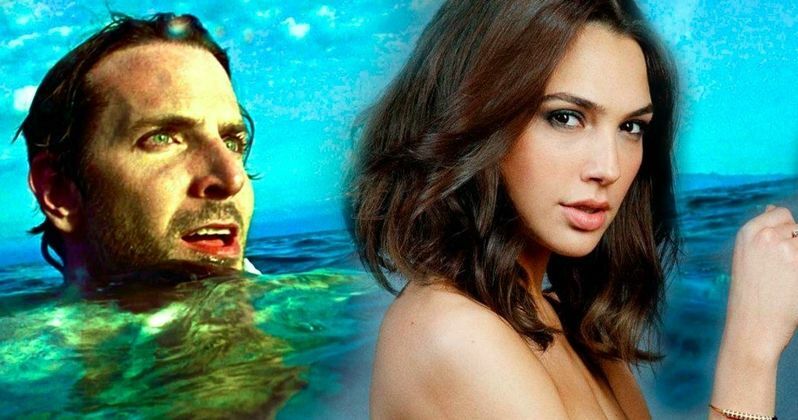 After dominating the summer box office, Wonder Woman star Gal Gadot is in talks to join Guardians of the Galaxy 2 star Bradley Cooper in a new thriller entitled Deeper, for director Kornel Mundruczo. No production schedule was given for this project, and no release date has been set by MGM, so it's possible that this may not go into production until after Wonder Woman 2, which is expected to start sometime next year, with Warner Bros. already setting a December 13, 2019 release date. Then again, if this project comes together quickly, it's possible that she could shoot it before returning as Diana of Themyscira. Deadline broke the casting news today, although no details have been given regarding Gal Gadot's character. The story centers on a disgraced astronaut (Bradley Cooper), who embarks on a mission to reach the bottom of a newly discovered oceanic trench, believed to now be the lowest point on Earth. The former astronaut encounters an increasing level of danger and soon finds himself in a psychological and physical fight against mysterious forces. The project hails from controversial writer Max Landis, with the script being written around the same time as his upcoming Netflix film Bright starring Will Smith and Joel Edgerton. That project sparked a bidding war that was ultimately won by Netflix, with the streaming service shelling out a whopping $3.5 million for his script, one of the highest prices for a spec script in several years, with a total $90 million commitment for the production. Deeper sparked a similar bidding war, with MGM coming away victorious, shelling out $40 million for the production budget, although it isn't clear how much the script itself was sold for. Max Landis will also produce alongside David S. Goyer and Kevin Turen through their Phantom 4 production company, and Russell Ackerman and John Schoenfelder for Addictive Pictures. The Hungarian filmmaker Kornel Mundruczo is best known for directing White God, and he most recently directed Jupiter's Moon, which was released back in June in his native Hungary. David S. Goyer is best known for co-writing Christopher Nolan's Dark Knight Trilogy, Batman Begins, The Dark Knight and The Dark Knight Rises, along with 2013's Man of Steel and last year's Batman v Superman. He is also creating the upcoming Krypton TV series for Syfy. Gal Gadot's Wonder Woman was the biggest hit of the summer movie season, taking in $411.5 million at the domestic box office, with Bradley Cooper's Guardians of the Galaxy Vol. 2 not too far behind with $389.8 million. Fans will get to see Gal Gadot return as Diana of Themyscira in just under two months when Justice League hits theaters on November 17. She has also been confirmed to appear in Flashpoint alongside Ezra Miller. Aside from Guardians of the Galaxy 3, which is certainly a few years away, Bradley Cooper is returning to voice Rocket Raccoon in Avengers: Infinity War, and he is also starring alongside Lady Gag in A Star Is Born remake, which also serves as his directorial debut.